Time is of the essence 72 hours already passed. Eleonora went on a dive with Husband Matteo Gobbi at 9am on the 25/8/2018. Eleonora reached the reef and there was a strong current and when the divers swam into the current to reach the reef that is when Eleonora went missing. A search party immediately started searching and we continue to search. We need funds to cover the cost of the search which involves the use of Helicopters and teams. Please open your hearts and assist even in a small way. Every little bit helps! We Thank you in advance for your contribution! Love from the Eleonora Search Team. Hi everyone. As you might already know, Eleonora was found on August 28th lifeless on the beach 20km south from the dive site by local fishermen. With this message I would like to thank all those who supported the research, by any means. 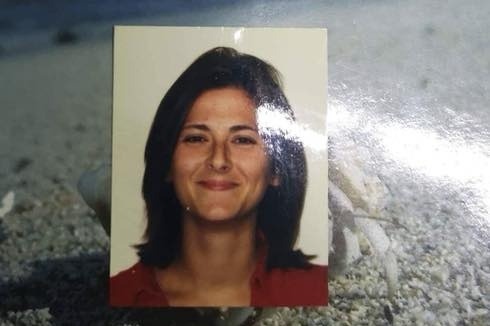 We will never know if Eleonora died on the same day of the disappearance or re-emerged and fought hours/days to the end. My hope now is that she did not suffer, but in my heart I know she reached the surface and did all the necessary to stay alive as much as possible. I know her well and she has always been a fighter. I'm convinced she never gave up until the end. Hence the regret of not having done all the necessary with an helicopter scanning the area from the air since the first day. About the funds: a part will cover the costs for rescue activities. All the remaining will be donated in the name of Eleonora for charity purposes. As soon as a specific project is identified, I will update you accordingly. Please let me thank you all again from my heart for your outstanding support and proven affection. A special thank to Linda from Zavora Lodge who did her best according to the available resources to face this emergency.